You are maybe wondering on how you are going to optimize your webpage title. Well, there is a lot of ways in doing it. As we know that Google nowadays is the best choice of people in doing researches and it only has 60-70 characters which include spacing and therefore you must keep you webpage titles within the range of characters allowed. On the other hand, your webpage content must also be aligned with the webpage title you are making. In optimizing you webpage title you can get the following benefits like a good rank in Search Engine Optimization, get a better position on search engines and a good ranks in all search engines. First, Write Short Titles. Since we all know that Google accepts 60-70 characters, you don’t have to make your title a little bit longer because surely Google will cut down in the result of your search. You can also use a Search engine optimization tool analysis to easily check the length of your title. Second, You Have to Identify the Keywords to Be Used. In identifying keywords on your webpage content help people easily find out what they have been looking for. All you have to do is to list all words that will describe the content of your page. The words that you are using in your title will also be displayed in the search engine results having and it contains the link. Third, You Should Be Using Your Targeted Keywords. You must be specific in choosing your keywords for you to get targeted traffic more. Fourth, Consider What Comes Out First. You can begin by putting additional keywords and you find out. The words that appear first will be considered more important. Fifth, You Should Avoid Stuffing Keyword. In keyword stuffing and any other form of spam should always be avoided. Moreover, even though you manage to be in the first rank sometimes you over optimized your title will reduce your click through rate. Sixth, You Must Also Be Descriptive. Writing descriptive and brief titles place the most important words. Lastly, just make it sure that you have chosen to use the right Search Engine Optimization tools properly. In addition to, make sure that your title relevance percentage will be high. Keep in mind to avoid over optimizing and keyword stuffing. 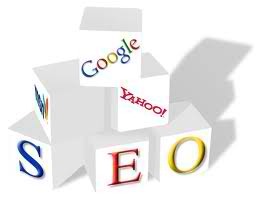 To get more information about search engine optimization, visit this page.